Success stories often start small and grow as a dog finds his or her superpower and helps humans understand them. Often, success stories grow when humans learn more about the signals dogs send that say "I'm anxious" or "I'm happy" or "I need my space right now". Success stories really bloom when those things come together, and a happy, healthy, bonded pack is formed from one or more humans and one or more canines. These stories can be complex, and can develop over months. We will be telling success stories here, with the help of Underdogs and their humans. It's official: LULU HAS FOUND HER FAMILY!! We simply couldn't be more thrilled for her and her new dad! 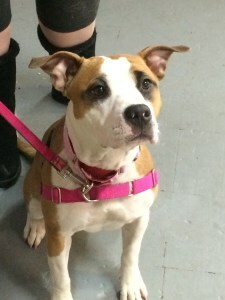 For all the months she was waiting, we kept asking ourselves, "Why is this awesome dog not adopted?!?" Now we know it was because she was waiting for just the right person to find her. Lulu has a lifetime of home-cooked meals, belly rubs, long walks, and unconditional love to look forward to. Abe's foster sister Ginger (she's the one on the right) made it clear that Abe was her BFF, so Abe is now a part of the pack forever. That Ginger! Daisy is in her forever home, where she just asks that she never has to wear the butterfly hat again . . .
Kali is happy in her new home! Sometimes, it's just a match made in heaven - Gramma knew immediately that Dan was his person, and fortunately, Dan got it too, As you can see, they are a total team now, and are both as happy as can be. 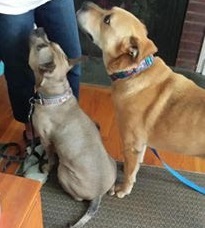 Buddy G (he's the tall one on the right) found that loving home with a good couch and laid back people who will let him know that life can be good! He is a lucky guy! Let's make it happen for the other Underdogs! Martha is in her forever home after convincing her foster parents that was where she belonged. One big thing that made it all work out for her was the opportunity to participate in classes. 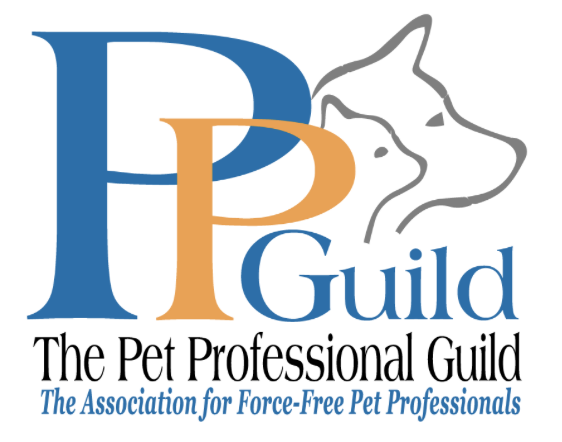 She still does private classes - she's not sure about how to talk to other dogs civilly yet - but she is a SUPERSTAR at Agility! Her pet parents say that when she gets home from Ability, she's out like a light! Mulligan traveled to Buffalo to find his forever home. Boy, did he luck out! 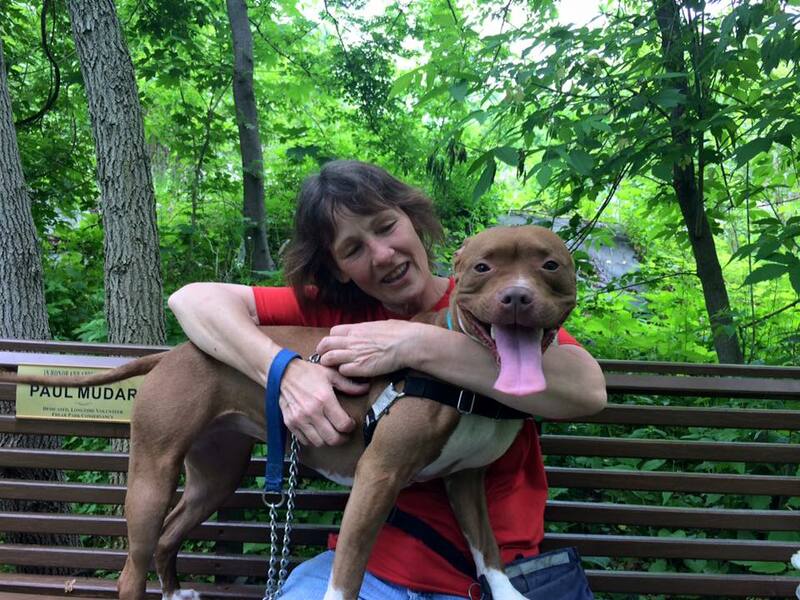 He has a new mom who lavishes him with love and fun experiences. We have incredibly high hopes for every one of our Underdogs. We want each one of them to find the family they were always meant to be a part of and live out their lives knowing they are safe and loved. This "happily ever after" looks different for every dog...and none more than our beloved Rogue. For the year that she was an adoptable Underdog, we worked diligently to get to the bottom of her on-going health concerns, knowing that it wouldn't be fair to her or her adoptive family to adopt her out not knowing what was causing her skin issues. While we worked and hoped for a cure, none was found. She basically has the wrong sort of cells growing along nerve pathways on her front legs and under her tail. Her skin just can't support healthy growth in those spots and it opens and forms sores periodically. It's a rare condition, which makes it hard to treat, but we found that we can manage her condition with medications and acupuncture. 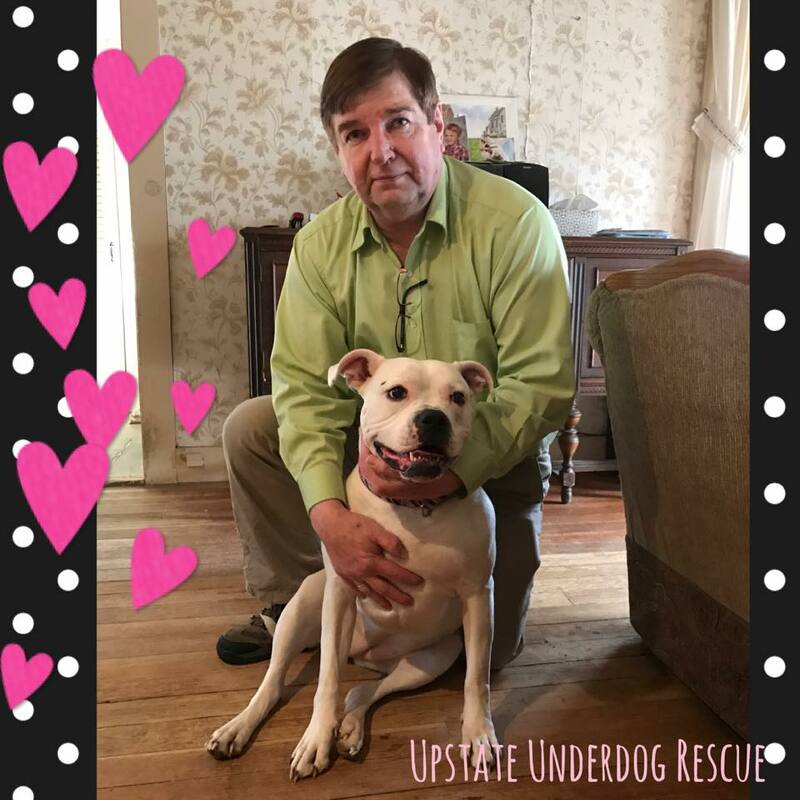 Knowing all of this, it became clear that Rogue had already found her forever family...and it was with the Upstate Underdog family. She was officially adopted by a board member who will continue to support her as long as her quality of life remains good. When the time comes and her body fails her, she will be surrounded by the people that love her most in the world. As of now, she has a good life. She enjoys hanging out with her canine boyfriends and feline girlfriends, going to classes, taking car rides and walks, getting belly rubs, visiting friends, and mostly being an outspoken doggie princess.